Learn how to use Birds Eye View in Photoshop to easily navigate around your image while you're zoomed in, including the secret trick you need to know to access this amazing but hidden feature. 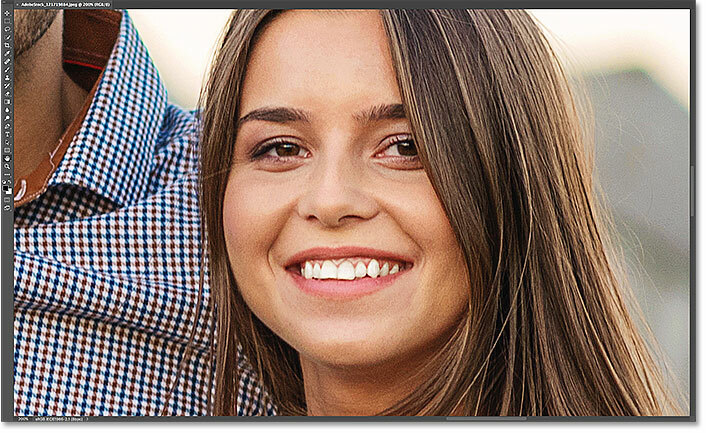 Part 5 of our chapter on Navigating Images in Photoshop. For Photoshop CC ad CS6. 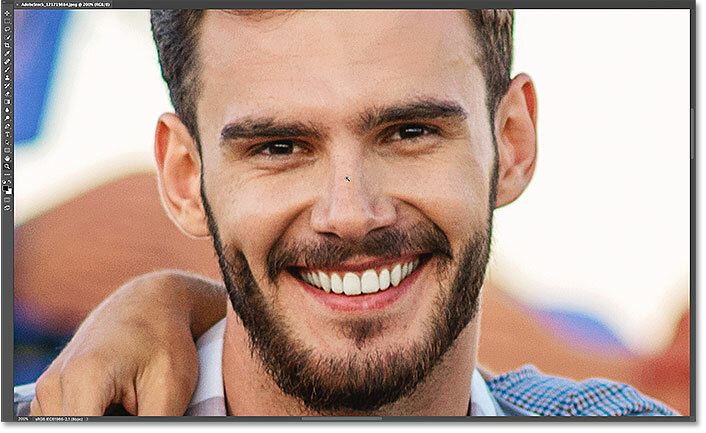 Photoshop has a hidden feature that makes it incredibly easy to navigate from one part of an image to another when you're zoomed in. It's called the Birds Eye View. When you're zoomed in close to your subject, the Birds Eye View instantly zooms you out to fit your entire image on the screen, giving you a "birds eye view" of where you are. You can then zoom back in to the same spot, or choose a completely different part of the image to zoom in. In other words, Birds Eye View lets us easily jump from one part of the image to another without needing to manually zoom in and out! You won't find a Birds Eye View tool or option anywhere in Photoshop. To use Birds Eye View, you need to know the secret trick. I briefly covered Birds Eye View in a previous lesson where we learned the basics of zooming and panning images in Photoshop. But because it's such a useful feature, it really deserves it's own tutorial. I'll be using Photoshop CC but everything we'll be learning here is fully compatible with Photoshop CS6. This is lesson 5 of 7 in Chapter 4 - Navigating Images in Photoshop. Let's get started! 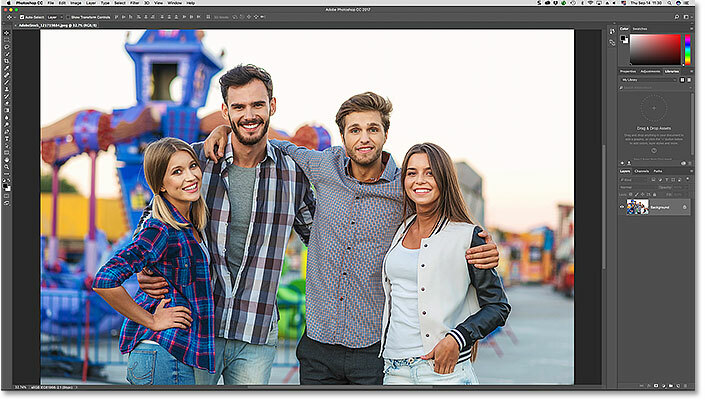 An image open in Photoshop CC. Photo credit: Adobe Stock. 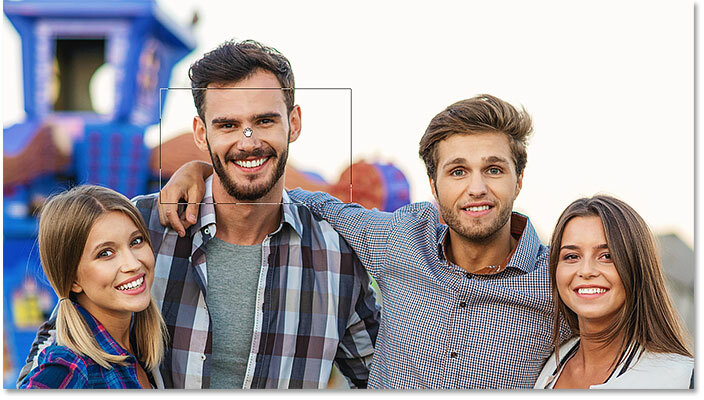 Using the Zoom Tool to zoom in on one of the people in the photo. 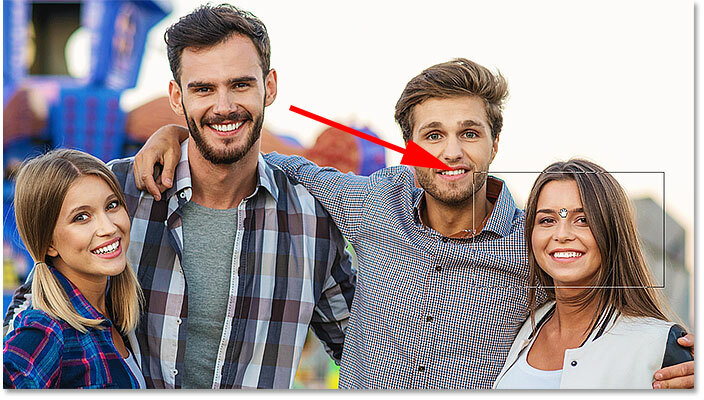 What if I want to stay at my current zoom level, but switch to a different person in the photo? Most people would scroll, or pan, the image using Photoshop's Hand Tool, and there's nothing wrong with that. But there's a better, faster way to do it, and that's by using the Birds Eye View. 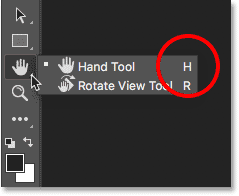 The Toolbar showing the shortcut ("H") for the Hand Tool. Press and hold "H", then click and hold on the image for Birds Eye View. In Birds Eye View, the rectangle represents your document window at your current zoom level. 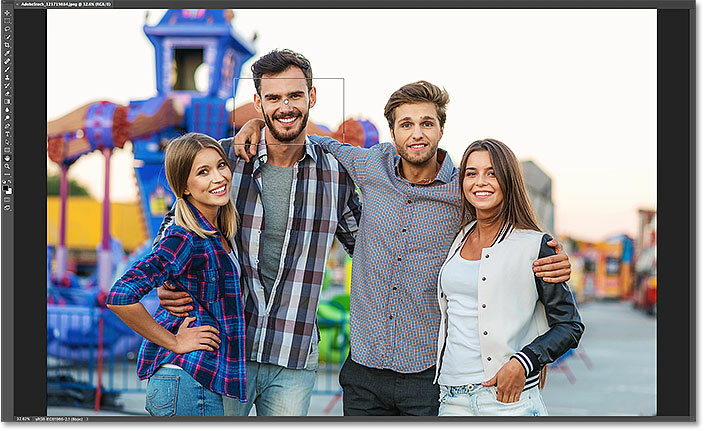 While still in Birds Eye View, switch to a different part of the image by repositioning the rectangle. BIrds Eye View made it easy to navigate from one part of the image to another. And there we have it! In the next lesson in this chapter, we'll learn how to use the Rotate View Tool in Photoshop to easily rotate the view of our image as we work!